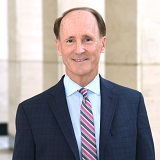 Daniel F. Fears is a founding partner at Payne & Fears LLP. He represents companies in all aspects of employment law and related civil litigation, including employment law class actions, wrongful termination litigation and preventive advice, traditional labor law advice, litigation and NLRB proceedings, employment and housing discrimination, labor-management relations and arbitrations, civil rights, trade secrets and other employment law litigation. Dan serves as litigation counsel for Fortune 500 companies in class action and multi-plaintiff litigation, and represents employers in aerospace, national defense, retail, construction, entertainment, banking, hospitality, health care, housing and other industries. Dan has been named as one of the Top 100 Most Powerful Employment Lawyers in the United States by Human Resource Magazine, and named to the OC 500 by Orange County Business Journal, a list of prominent and influential business leaders in Orange County. He frequently lectures and writes on various employment matters, including wrongful termination, employment discrimination, employee privacy issues and labor relations matters. He co-authored the book Avoiding Wrongful Termination: The Management Guide to Minimizing the Risks Posed by the Evolution of Wrongful Termination Law, published by American Somerset, Inc., and Employee Discharge & Documentation, published by Lorman Education Services. Dan is a Founding Member of the Orange County Bar Foundation, Society of Fellows (now Project Youth OCBF) and a Founding Circle of Justice Member of Asian Americans Advancing Justice (AAAJ) - Orange County. Before founding Payne & Fears LLP, Dan was a partner in the employment law department at Paul Hastings LLP. Payne & Fears LLP won a five-year battle on behalf of client Medway Plastics Corporation, ending with the California Court of Appeal upholding dismissals by the arbitrator and trial court. Two former employees of Medway filed their complaint in 2013. We moved swiftly to compel arbitration, which the trial court denied. We appealed, and the Court of Appeal agreed with us and ordered arbitration. Payne & Fears LLP was recently retained as trial counsel in a hotly contested race discrimination and retaliation case. At mediation, Plaintiff was demanding $6 million to settle and prior counsel had been unable to resolve the case. The trial team of Dan Fears, Jeff Brown, Ray Boggess and Sean O'Brien quickly transitioned into the case and assisted prior counsel in preparing a motion for summary judgment. Payne & Fears represented a large, multi‐facility healthcare organization which provides residential, rehabilitative, nursing and mental healthcare services to a wide range of patients. The plaintiff alleged she and hundreds of other employees were harmed by the employer’s failure to provide complete and accurate wage statements. Payne & Fears LLP prevailed in obtaining a summary judgment for its client in Jefferson v. Boeing. The plaintiff was a long term engineer who was involuntarily reclassified and then terminated because he ranked lowest in his new classification. Payne & Fears LLP successfully defeated a claim that its client violated the Americans with Disabilities Act by implementing a policy which excludes Segway vehicles from its theme park. The hard work of Dan Fears, Daniel Rasmussen and Julie Bisceglia resulted in a published opinion which is very favorable to the firm's client. Named Top 100 Most Powerful Employment Lawyers in the U.S., Human Resource Magazine. Listed in The Best Lawyers of America as "Lawyer of the Year" in 2016 and 2019 for Litigation- Labor and Employment in Orange County and in 2014 for Employment Law- Management in Orange County. Named to the OC 500 by Orange County Business Journal (OCBJ) in 2017. Listed in The Best Lawyers in America in the fields of Employment Law- Management, Labor Law- Management and Litigation- Labor and Employment, 2008-2019. Named to Southern California Super Lawyers list by Los Angeles magazine, 2004-2019, and as a Top 50 Lawyer in Orange County. Copyright © 2019 Payne & Fears.